Pimp your ice cubes with some fruit. 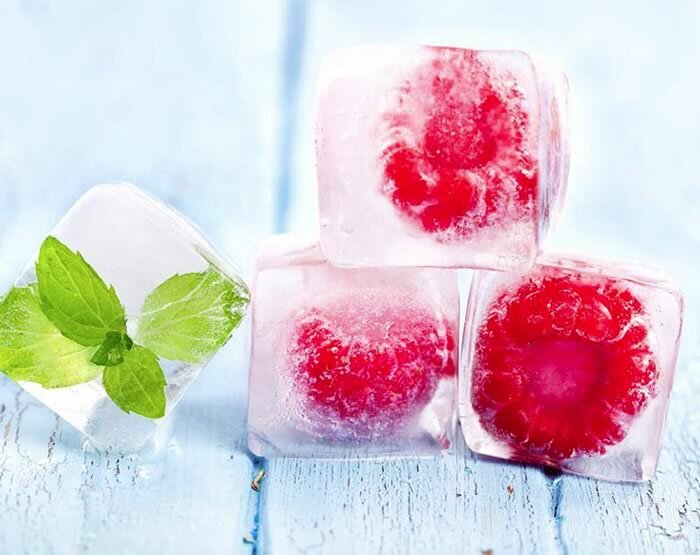 Simply add some fruit into the ice cube tray with water or fruit juice. Adds some colour to whatever drink you put the ice cube in and some nice fruit flavour as the ice cube melts. Give the ice cubes 3-5 hrs (depending on size) in the freezer to freeze properly. No right or wrong fruit to use but berries are perfect size and try fresh mint leaves if you have some.